I feel like I have been mentioning this a lot recently, but I have a lot of pain. Back pain, shoulder pain, neck pain, knee pain, ankle pain, etc. Lots of pain. Some of the worst (and most consistent) pain that I have is in my neck, shoulders and upper back. This pain is even more aggravating because there is little that I can do to alleviate it. It is hard to get a heating pad that conforms just right. I can't rub the pain out myself and I hate to ask my Husband to do it too often. This is where a handy device called a TENS unit comes into play. 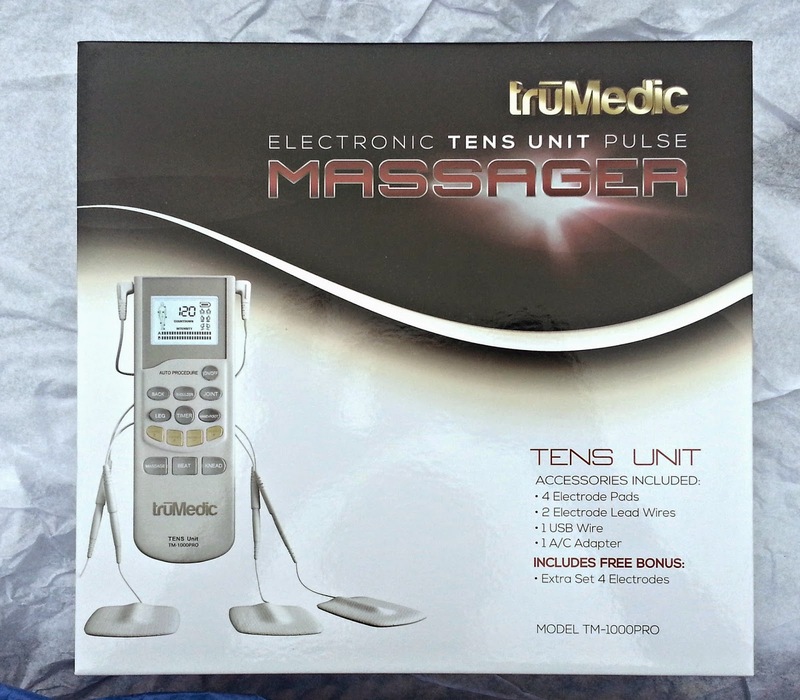 This TruMedic TM-1000 Pro Deluxe TENS Unit is actually the second TENS unit that I have owned. My first device was over 10 years old and very simplistic. This TruMedic TM-1000 is literally 1000 times better! It comes with 2 sets of 4 electrode pads, 2 electrode lead wires, a USB wire, an A/C adapter and a carrying case. TENS Therapy works on the theory of blocking your body's pain signals before they reach the brain, and/or increasing the amount of endorphins released in the bloodstream, which make your body feel better. If you have been to Physical Therapy, you have probably used a TENS unit at some point. TENS units do not have any side effects. 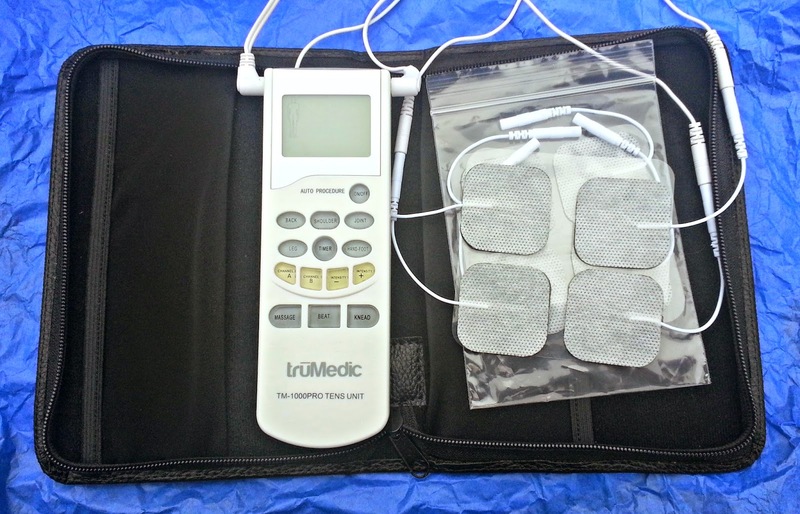 This TruMedic TM-1000 can be used for up to 2 hours per session. It has two separate channels with separate adjustable intensities. This means that you can use the device on two separate body areas or even two different people at the same time! I often use all four electrode pads on whichever area is sore and place them in a X pattern. 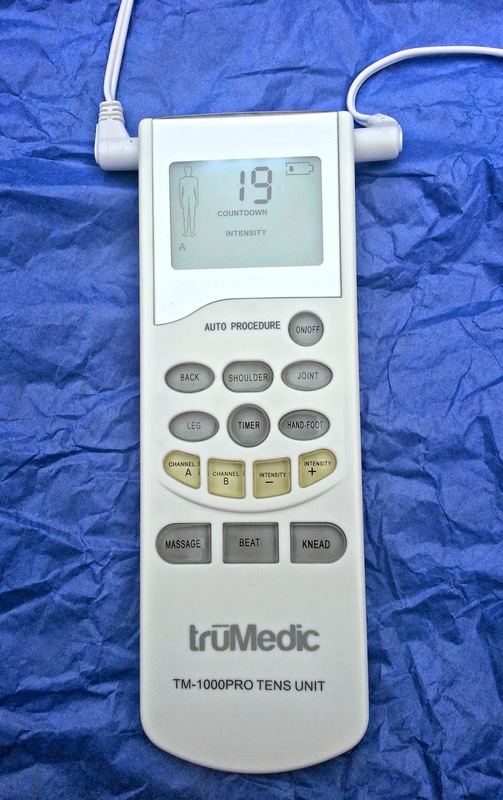 TruMedic TM-1000 has 5 loaded auto-stimulation programs: back, leg, shoulder, joint and hand-foot. You could also choose your own massage type from: massage, beat and knead. I have found that I like alternating between the massage, beat and knead. When one massage form stops working as well or my skin starts to feel numb, I change to another massage type. I love that the intensity resets and you have to re-adjust it. I can handle a higher intensity with massage than I can with beat. 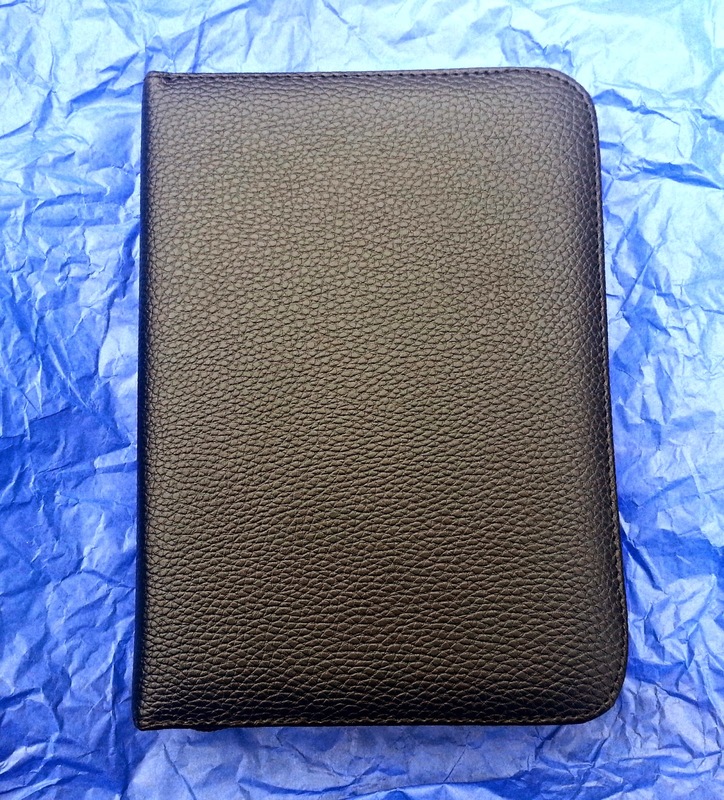 This TENS unit comes with a really nice carrying case that holds everything you need. This makes it easy to carry the unit with you to work, on vacation, etc. I also love that the TENS unit can be charged via adapter. My previous unit would only accept 9V batteries and it could be pretty expensive. With this unit, you will only have to purchase more electrode pads. It comes with two sets and they will last for awhile, but you will eventually need more. So, does it work? It does! I even have a permanent "charging" station set up in my spare bedroom for this TruMedic TENS unit since I have been using and charging it so often. It helps to relax my muscles and joints and dull the pain when they are flared up. When my neck/shoulders are at their worst I wake up with painful cramps running from my neck down into my shoulders/back. I have not had that to happen at all since I started using this TENS device. I have been able to sleep through the night without pain. 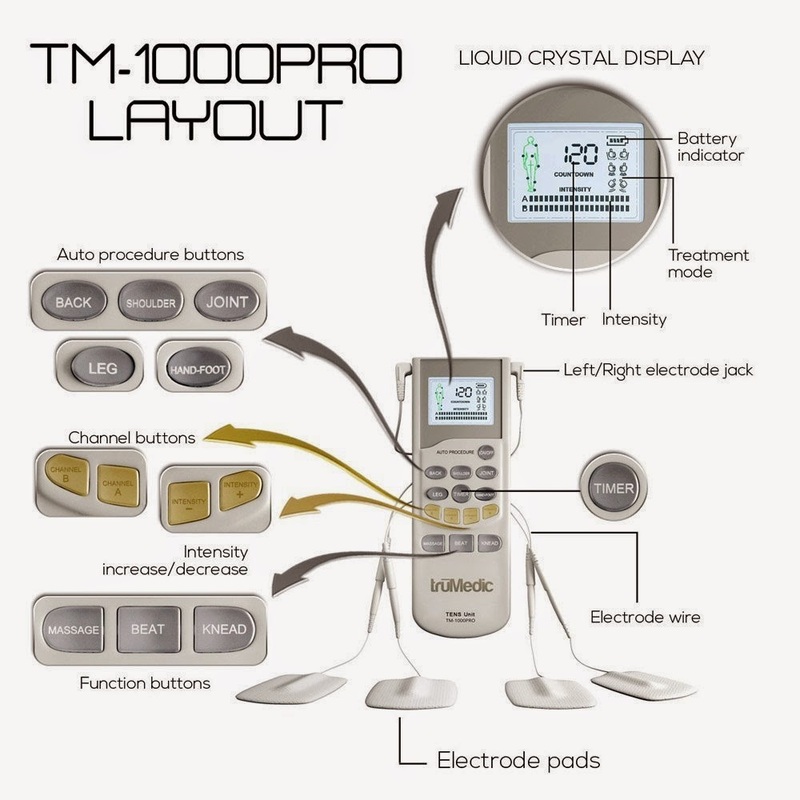 I definitely recommend this TruMedic TM-1000 Pro Deluxe TENS unit. Have you ever used a TENS unit? How did it work for you? *Disclaimer: I was provided with a free product in exchange for this review. All opinions are my own.